A wild burst of colour for your wrist. 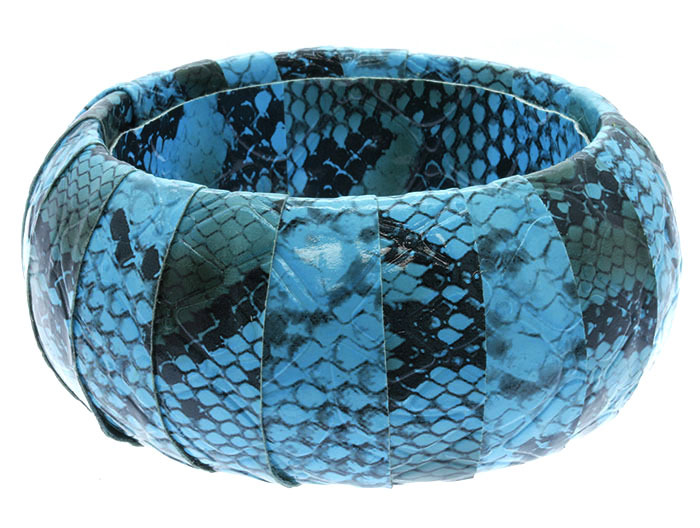 The Eva bangle features a leather snakeskin print on a comfortable stretch in blue. Too much fun for words. Accessorize multiple outfits when you shop for jewellery online with us here at Oz Bling.